You can’t really call yourself a burger blogger if you haven’t eaten at Shack Shake, either at its original Manhattan joint or this fresh London spot. We mean business at Out To Lunch so dodged the Covent Garden tourists to earn our stripes. 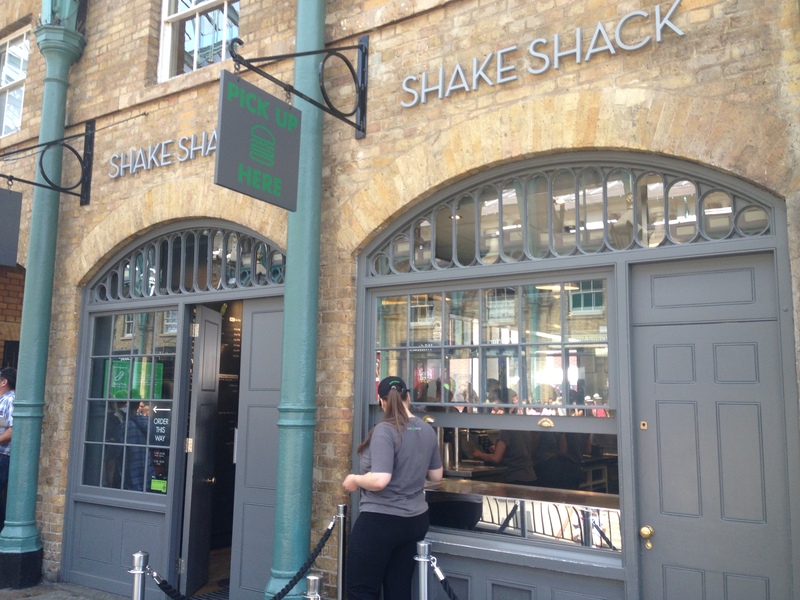 The Joint: Shake Shack UK, 24 Market Building, The Piazza, Covent Garden, London, WC2E 8RD. Check out their website here. The Vibe: With the burger trend showing no signs of slowing down in London, there are still new joints sprouting up all over the capital. 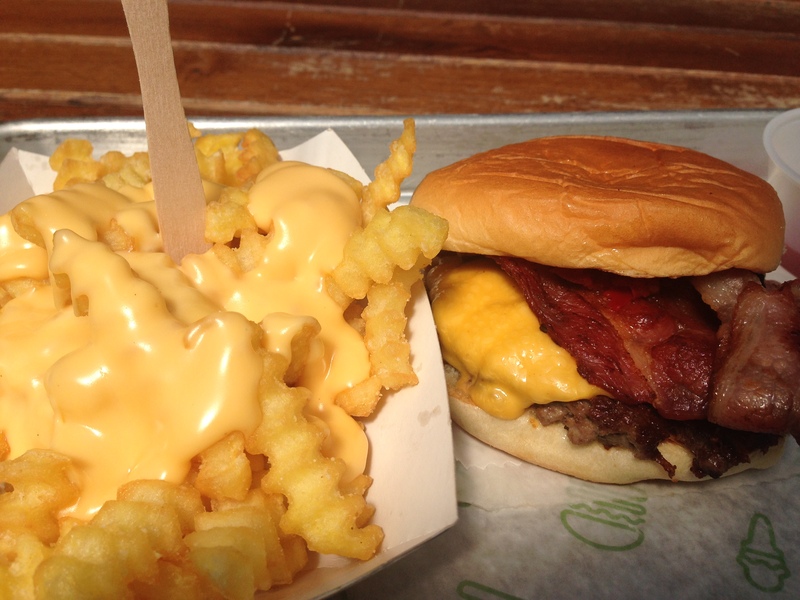 At the height of the great burger boom of 2013 came news of Shack Shake UK, a break across the pond from those who’ve had people queuing through their lunch in Madison Square Park in New York. The queues started early in London too but a year on and they’ve settled down long enough to make it a realistic working lunch option. It’s part of the famed Covent Garden market and boasts a rare chance to sit amongst the multicultural madness at lunch. We go traditional with a Smoke Shack and cheesy fries and it’s with us a few moments later. Speed of delivery can often come with sloppiness in the food but Shake Shack doesn’t drop the ball there. The Smoke Shack comes in a soft bun with a 6oz burger, a slice of American cheese, two pieces of crispy bacon, and their Shake sauce mixed with cherry chopped peppers. It’s a light and juicy bite and the added tang from the peppers really adds some great flavour. The crinkle cut cheesy fries are a good choice of side. They’re covered in a thick cheddar sauce and are served with that perfect amount of crispness. 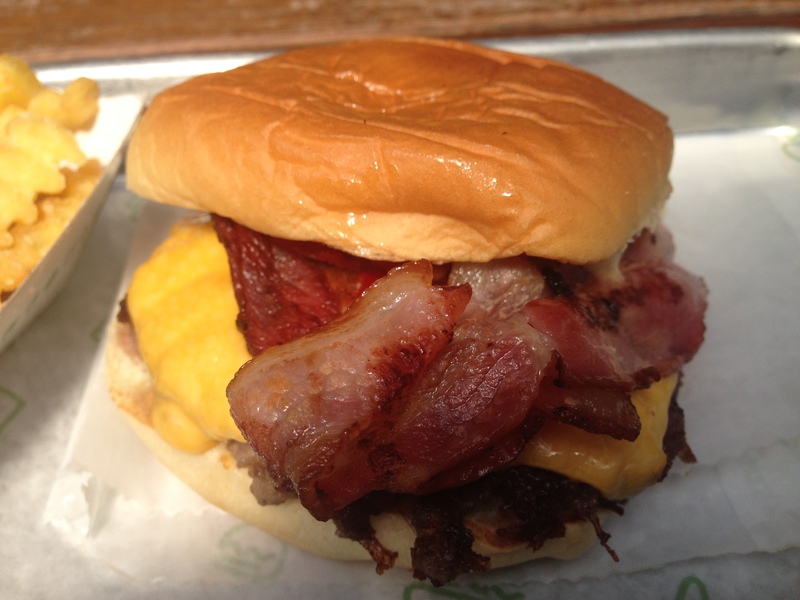 Shake Shack UK is certainly a competitor in the busy London burger scene. It’s good food at a great location and there’s enough variety on the menu to keep you heading back. The Price: £7-£10 for a burger and £4 for the cheesy fries. A little more than we’d usually like to pay but Covent Garden ain’t cheap! 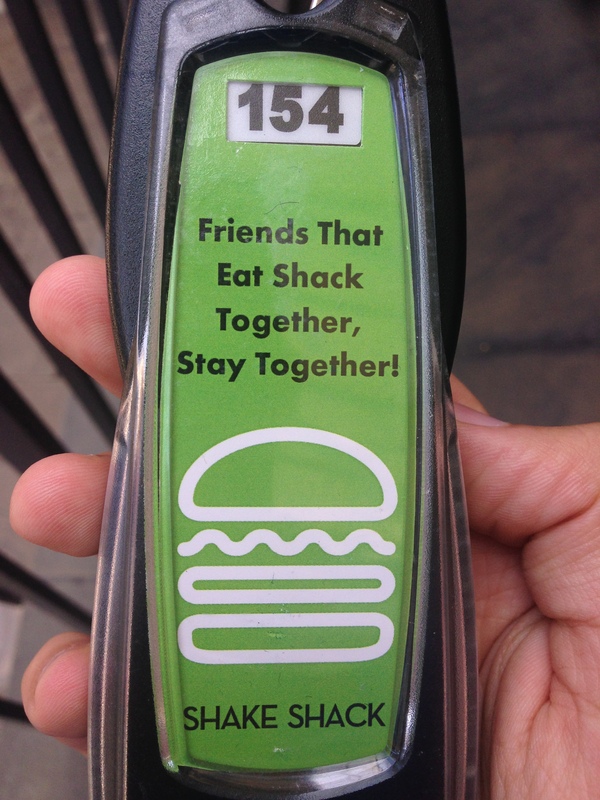 Shake Shack was visited by Tom in August 2014. 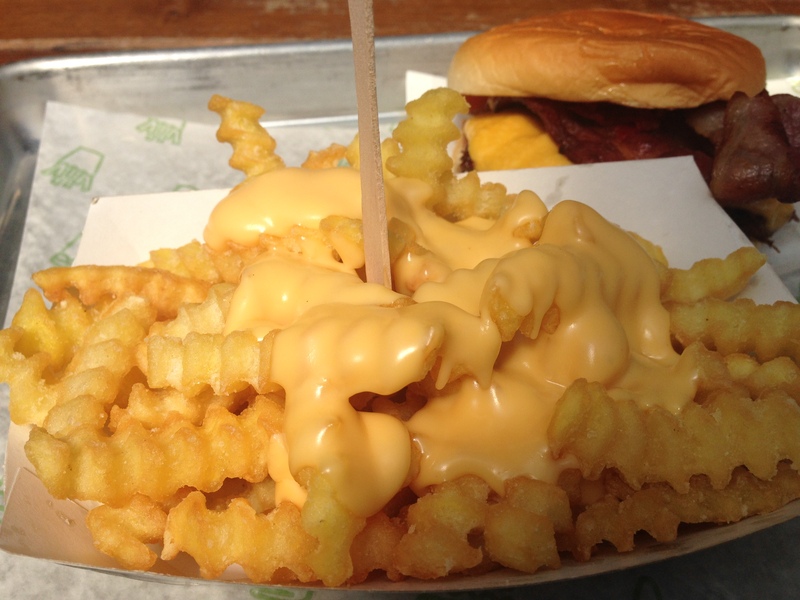 HAVE YOU EATEN AT SHAKE SHACK BEFORE? IF SO TELL US HOW YOU GOT ON OVER AT OUR TWITTER PROFILE – @OUTFORLUNCHBLOG. Posted in LondonTagged burger, cheddar, cheesy fries, covent garden, covent garden market, food blog, London, lunch, lunch blog, madison square park, out for lunch, shack, shake, shake shack, smoke stackBookmark the permalink.